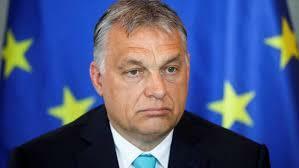 The centre-right European People’s Party (EPP) has voted to suspend Hungary’s ruling party Fidesz. The EPP political assembly approved the decision with 190 votes in favour and 3 against. Under the terms of the suspension, Fidesz will have to meet various conditions and a panel will judge whether the party is acting in accordance with EPP rules and values. He also added, “The good news is that unity in the EPP has been preserved,” mentioning that Fidesz would be campaigning for an EPP victory in the European elections in May.